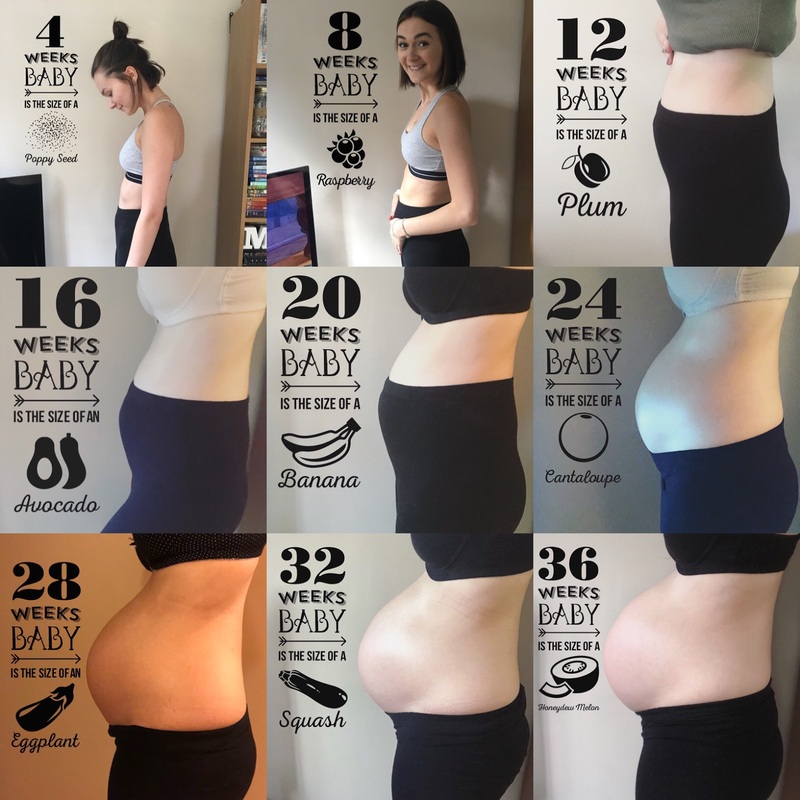 I thought I would make a little update about week 36 of my pregnancy! So, as you know, I've only recently started this blog, which has been great, but also makes me a little sad that I didn't think of starting it sooner. 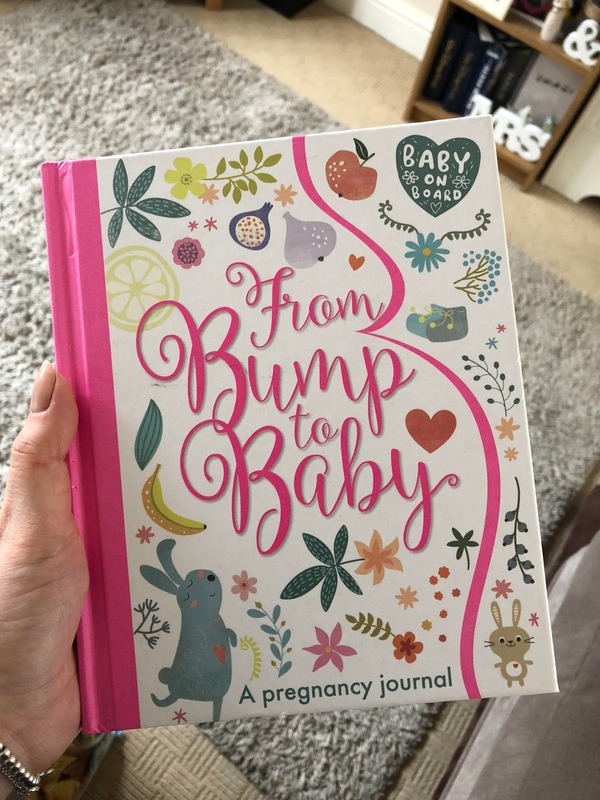 Part of me wishes that I had started writing this blog at the start of my pregnancy, so that I could have had the whole journey documented in the form of an online diary. The idea just didn't occur to me! Since the start of my pregnancy, I instantly bought a 'Bump to Baby' diary. 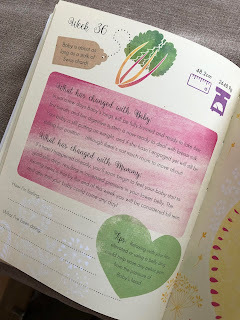 Now, at the beginning, there wasn't much for me to fill in, as generally pregnancy diaries start from 12 weeks gestation. I have absolutely loved filling out my diary, especially as there are some cute sections to add in some photos and other memorabilia. I'm so glad I bought this keepsake! Whilst being pregnant, most people know that there will be many midwife appointments to go to, to make sure that the pregnancy is all going well. For the last few weeks, I have been having appointments every two weeks, as I am in the later stages, and so they like to keep more of a check on mum and baby. I personally love these appointments. My midwife is so lovely, and is always very welcoming. These appointments are also a great way of regularly being able to ask any pregnancy related questions, as well as being provided with more and more information at each visit. From my experience, at each appointment (from 26 weeks) they measure your fundal height growth (the size of your bump, from the top of the pelvic bone, to the top of the uterus), they check your urine for any traces of nasties, and take your blood pressure. From 26 weeks, my baby girl has been in the breech position. My midwife assured me that baby can move, and still had plenty of time to do so. By moving, I mean into the correct birthing position of head down and back facing outwards. However, this is my baby that we are talking about, and if she is anything like her mum, she will be very stubborn! So, like I mentioned, I am currently 36 weeks pregnant, and I went to my appointment, where neither my midwife, or student midwife, could determine what position baby is in. All we know, for now, is that baby is not engaged. As none of us seem to know where baby is hanging out, the next steps are for me to have a 'presentation scan'. Now, I've not had one of these before, but I do know people that have had one. As far as I know, I'll go to the hospital, in the antenatal clinic, where they will get a portable ultrasound machine and will then scan me quickly to determine baby's position. After that, I have three choices to make, if she's breech - I allow them to manually turn baby, into the correct position (known as an ECV - External Cephalic Version); I attempt a vaginal breech birth; or I opt for an elective section. Now, this might ask you to question how that might affect my birth plan, and in all honesty, it won't. I haven't actually written a birth plan. I didn't want to, and I still don't. I'm not keen on hospitals. I mean, realistically, who is? My main goal is that baby and me are safe and healthy after a safe and healthy delivery. Will I have pain relief? Absolutely. If I'm in pain, and don't feel like I'm coping, then sure, of course I'm going to have some pain relief. I'm not opposed to it. I'm not keen on the idea of having Pethidine or Diamorphine, but other than that, sure! Then I'll have a C-section. In fact, I think I would rather! Luckily, Max and I seem to be on the same page about a birth plan. We will just 'go with the flow' and see what happens. Throughout my pregnancy, I have, of course, been documenting the growth of my bump and I'm so glad I did. I find it amazing how much my belly has grown, and how different my body is now. My body is in no way the body that I remember. It has stretch marks, it's super veiny (you wouldn't believe! ), it's the heaviest it's ever been, but I wouldn't change any of it. Even the horrible acne that I've had the whole way through. I feel so blessed to be able to carry my girl, who will be so perfect for us. I know I still have a few weeks left, but it already makes me sad that I won't have my belly filling out my maternity clothes for much longer. That was a longer update than anticipated, but I'll post another update once we know what our next steps are!